has solely concentrated on making fine black and white prints using film and traditional darkroom techniques. in this medium, which in turn has led to his work being published in books and magazines worldwide. on the edge of Dartmoor National Park. A WORD ABOUT MY TRAVELS. 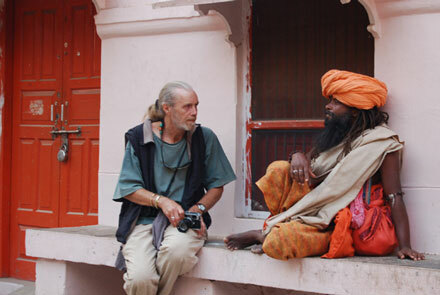 I started travelling back in the 1970's, to places like Afganistan, Kashmir and Nepal. 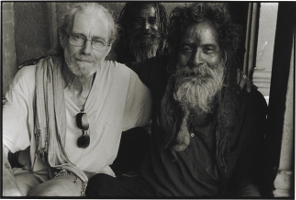 It was India especially that caught my imagination, and ultimately a life long love affair. a growing interest in the ethnic minorities of India, Burma and SE Asia, and their spiritual places. and to photograph peoples whose traditional way of life is disappearing rapidly. 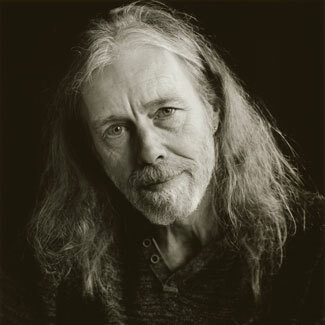 I use manual cameras and film, so my approach to portraiture is quite slow. This can help relax the person I am working with and a small relationship between us can be built. She makes so much possible, that without her, these trips and the pictures I take would not happen. The following pictures, are courtesy of Sandhya. Premgit and Black Bom Baba 2015. Then a few times in recent years. in Mae Hong Son, Thailand. 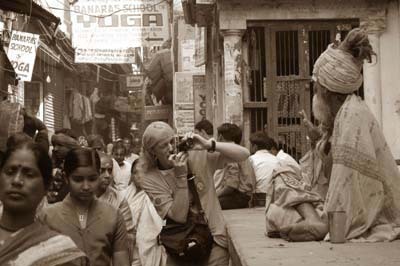 In the Alleyways, Varanasi, India. Trading photos, Amakantak, Madhya Pradesh, India. 2013 ---- National Open Art, ---- Royal College of Art, London. 2013 ---- National Open Art, ---- Minerva Theatre, Chichester, UK. 2012 ---- Permanent Installation ---- Magdalen Chapter Hotel, Exeter, UK. 2011 ---- "Trading Faces" ---- Touring Exhibition. 1995 ---- "Meditation" ---- The Galleria, St James Sq., London. 1992 ---- "The Hidden Harmony" ---- Nudes in Landscape, South West Arts, UK. 1986 ---- "Desert Landscapes" ---- Palm Springs, California, USA. 2015 ---- Ritual Worship, Madhya Pradesh, India. 2014 ---- Ritual Worship, Madhya Pradesh, India. 2013 ---- Rabari and Garasia Tribes of Gujarat, India. 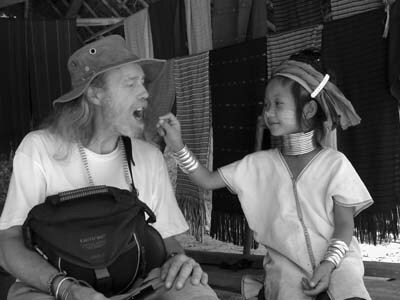 2012 ---- Tribal Women and Landscapes in Burma and Laos. 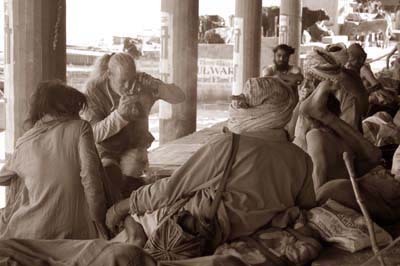 2010 ---- Sadhus at The Kumbh Mela, Haridwar, India. 2009 ---- Tribal Communities in Sikkim. 2007 ---- Tribal Minorities in India and Burma. 2006 ---- Tribal Minorities in Laos. 2005 ---- The Berbers, Morocco. 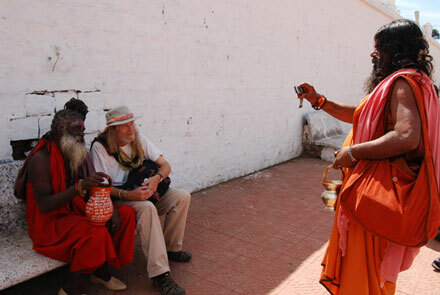 2004 ---- Sadhus and Holy men North India.